hi everyone I am Name Visible on Login.  I 32 years old from Dahod, looking for a good life partner who has a positive approach to life. I am in Accounting field and have a very good salary. I come from an upper middle class, nuclear family with traditional values. My family lives in Dahod, India. My father has retired while my mother is a homemaker. I have one sister, who is married.